What if the world’s worst predators worked together? Could evil spirits and human monsters act as one? Paranormal researcher and retired criminal profiler Dr. Deborah Kauflin looks into the frightening link between bad spirits and serial killers. 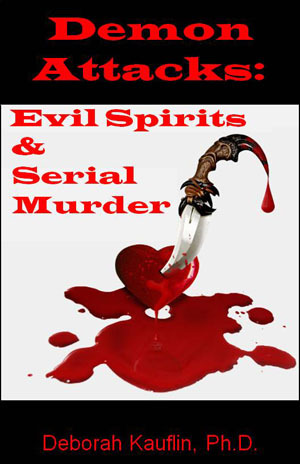 Whether you love the paranormal or study serial murder, this book delves into the lives of serial murderers and their experiences with otherworldly entities. Do you think you are haunted? Have things gone bump in the night? Do objects move on their own? If so, you might have a spirit lurking in your home. ‘Is There a Ghost in Your House’ will help you find out if you do! Famous psychic medium and criminal profiler Dr. Deborah Kauflin reveals the secrets of living in a haunted house. If you have been searching for help or just want to learn about the paranormal, this book will show you what happens in a true haunting. From ghost dreams to terrorized pets, you will learn about what a ghost experience is like. Dr. Kauflin shares some of her chilling paranormal experiences and walks you through ways to cope with what is happening in your home. Whether you have a friendly ghost or an evil entity, after reading the book you will have a better understanding of your ghostly activity and how to get help if you need it. 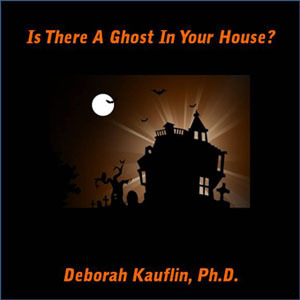 Dr. Kauflin gives you a list of things to look for and gently guides you through the scary process of finding out what is hiding in your house. 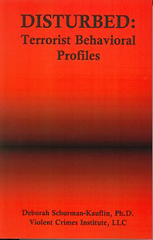 The book focuses on you and what you are going through. It is a great overview of how to determine if you are experiencing a real haunting. 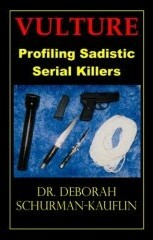 Dr. Deborah Kauflin is a world renowned psychic medium and retired criminal profiler. She has done psychic readings for celebrities and other famous psychic mediums. As a psychic, she has seen through the eyes of killers and victims in murder cases. In her own words she has ‘been killed’ many times over in her psychic dreams while reliving the last moments of homicide victims. Dr. Kauflin teaches psychic development, does psychic readings, and conducts research on the paranormal. She graduated with a Ph.D. from the Union Institute with a specialization in Criminal Justice and Forensic Science. For nearly twenty years Dr. Kauflin consulted on serial murder cases for police departments and trained thousands of FBI agents and homicide detectives. 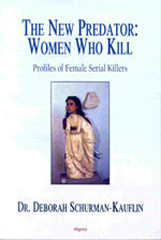 She is very famous for her dead on profile of the BTK serial killer Dennis Rader which was a key to his capture.